Now that Labour has officially refused to enter into a progressive alliance, it leaves a black hole in the Green Party’s general election strategy. The current Green co-leaders, Caroline Lucas and Jonathan Bartley, won the leadership of the party advocating a progressive alliance, and this has been assumed to be the approach that would be adopted for the next general election. The objective of the alliance would have been to remove the Tory government and to introduce proportional voting for Parliamentary elections. 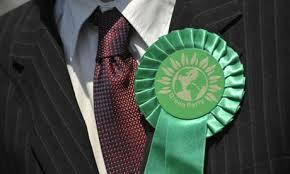 So what now for the Greens? The Greens could try to form an anti-Tory alliance with the other parties of the vague left, but this is highly unlikely to achieve either of the stated objectives, and the Lib Dems show little enthusiasm for the idea anyway, other than asking the Greens to stand aside pretty much everywhere. In the past, the Greens general election strategy has been to stand in as many constituencies as possible, but to select a handful of target seats, where the party’s prospects of winning seats is most likely. We can return to this type of approach for the next general election, but I would suggest we need to add a further ingredient into the calculus of which seats to target with more resources this time. We should also make the most of our distinctive policies, on nuclear power and weapons, environmental protection, anti-fracking green new deal, real localisation and more. Clearly, we will want to defend Caroline Lucas’ seat in Brighton Pavilion, but we could do with targeting perhaps another 3 or 4 seats, which should also look for some regional spread, so that members don’t have too far to travel to help out in these constituencies. I think at least one of the new target seats should be in London, and I’m going to suggest the new criteria be used for assessing target seats in a London example. But the same rationale should be used for deciding on all new target seats. The new element I will throw into the pot, is likely to be one of, if not the most important issue at the next the general election, Brexit. We should target constituencies where the Remain vote was strongest at the EU Referendum last year, and ideally have sitting MPs who voted to trigger Article 50, prematurely, in the Parliamentary vote. Two constituencies in London spring immediately to mind, Holborn and St Pancras and Vauxhall. Boundary changes will probably happen before the election, but just for the sake of argument, let us look at these two. In Holborn and St Pancras, the former leader of the Green Party, Natalie Bennett, stood last time and got a respectable vote, and the seat is currently held by Labour’s Sir Keir Starmer, the party's shadow for exiting the EU. He has said, at length, that he will vote to trigger Article 50 at the third reading of the Bill next week, and the local authority that covers the area, Camden, voted 75%-25% to Remain. Vauxhall has a sitting Labour MP too, Kate Hoey, who was one of the leaders of the Labour Leave campaign during the referendum, so she is sure to vote to trigger Article 50, and again the local authority area Lambeth, voted 75%-25% to Remain. Big majorities for Labour in these seats but there is a new mood about after the Brexit vote, and neither of these constituencies is likely to elect a Tory or UKIPer, even if the left vote gets split. We would effectively be targeting the 16 million (those in the target seats) who voted to Remain in the EU whilst pointing out the Lib Dems austerity role in five years of coalition government with the Tories. It will make for a unique offer. Apparently, 7,000 members of the Labour Party have quit in the last week over the party supporting triggering Article 50, according to the New Statesman. This is just a suggestion. I welcome a debate on how we move forward with a new vote winning strategy from others, but if we don't adopt something like this, we will leave many of the Remain voters to the Lib Dems. They grew too quickly and couldn't come close to living up to the ideals they set themselves. Now they are finally coming to terms with themselves and seem to have at least begun to emerge from a moral maze of their own making, they are timid, afraid of having any real power so they throw away opportunities handed to them, or make light where they should be pushing forward. That's the problem with the modern day green party. Seems a sensible approach to me!